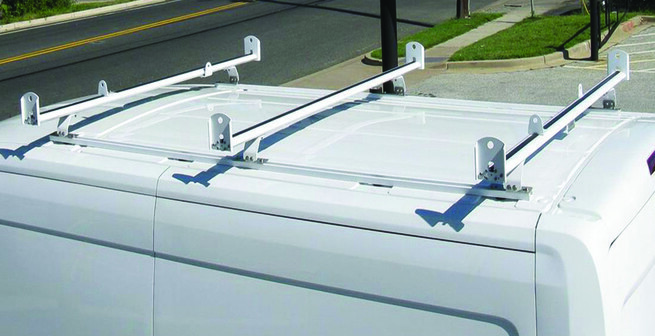 Work Van Cargo Racks are an economic solution to transport ladders and bulky materials without a large investment and without significantly increasing your overall vehicle height. 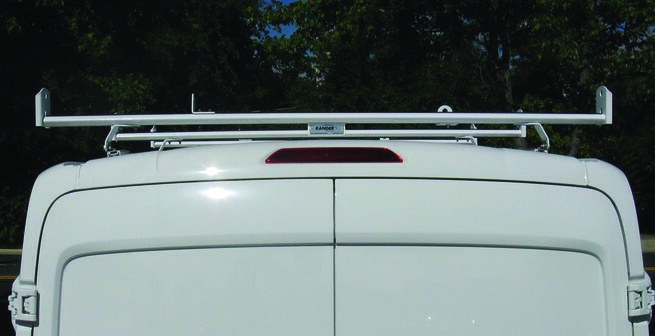 Ranger Design offers 2 bar cargo racks for work vans. 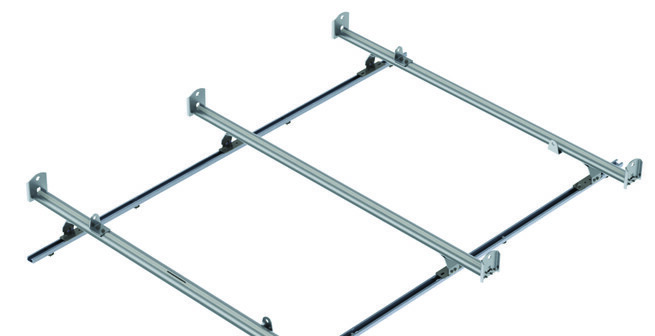 Comes with 4 adjustable tie down rings, four end plates with integrated tie down points, and a white finish. 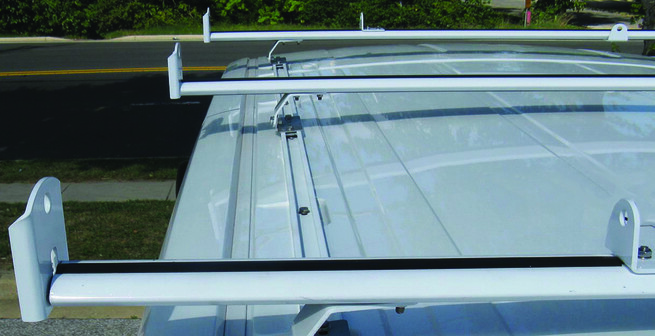 A third bar is available for more support.